The program was historic. But why are the archives lost? But Della Reese isn’t just a successful singer or actress. Her legacy is far more profound: Reese was the first black woman to host her own syndicated talk show in the United States. This historic fact, though, has been reduced to a footnote in her biography for a simple, maddening reason. No full episode of this show, which ran for 197 episodes between 1969 and 1970, exists in the public domain. The digital remains are down to two 10-minute clips on YouTube. One is an episode with singer Eric Burdon of the Animals; another is with comedian Lou Alexander. No other trace has surfaced of a show that sits as an entry in the Lost Media Wiki, a crowd-sourced compendium of history’s abandoned media artifacts. Its disappearance has inspired curiosity as to whether these episodes will emerge from obscurity, resulting in at least one man’s dogged efforts to recover the show’s full archive. Born Delloreese Early to a Cherokee mother and black father in 1931 in Detroit, Reese achieved early success. When she was 13, Mahalia Jackson hand-picked Reese to sing in her gospel group, touring with them from 1945 to 1949. This gave way to a multi-genre music career in gospel, jazz, and R&B that peaked in the 1950s. In the next decade, at a time when black women were beginning to become stars on television—Cicely Tyson of East Side, West Side (1963), Nichelle Nichols of Star Trek (1966), and Diahann Carroll of Julia (1968) to name but a few—Reese soon parlayed these wins into roles on the small screen. The first of these forays was with Della! 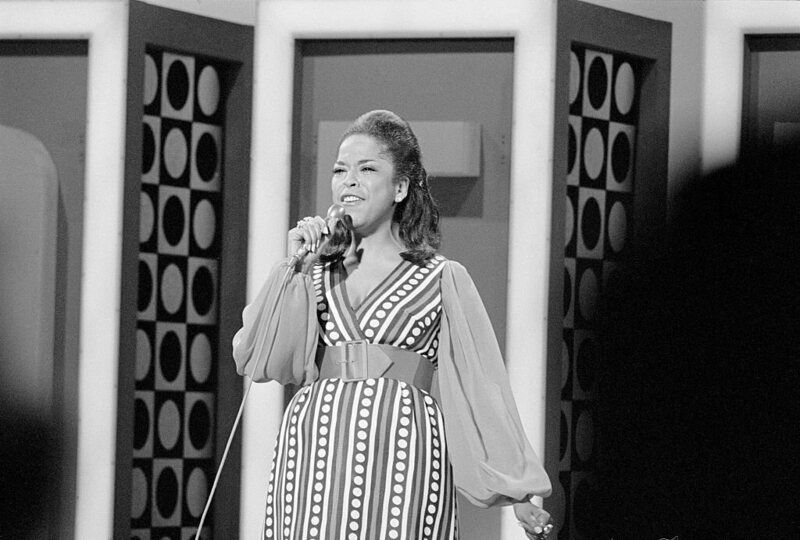 ; a producer approached her with the proposition of hosting her own show following a live performance in 1968. Della! was aired every weekday for an hour throughout the States by RKO, a syndication network that eventually dissolved into Warner. The show featured a wealth of that era’s greatest talents, with guests like Muhammad Ali, Marvin Gaye, Gladys Knight, Linda Ronstadt, Soupy Sales, and Jacqueline Susann passing through. Filmed in Los Angeles, each episode was structured as a showcase for Reese’s multivariate talents—she was an engaging, charismatic conversationalist and a mellifluous singer. Along with her sidekick, Jewish-American comedian Sandy Baron, Reese would begin each show by introducing her guests before ceding the reins to them. Each episode would feature two to three guests—either well-established celebrities or up-and-coming talents, like a young Steve Martin. “We had animals, we had people with gadgets,” Reese remembered. “It was very interesting format.” Occasionally, Reese would join in and sing along with her guests, as she did with Eric Burdon in the above clip, yet the shows were more about her guests than about her. She was not an intrusive host prone to editorializing with her guests or dispensing sage, treacly life advice; she approached her guests with a gentle, probing curiosity aimed at illuminating their work and artistry. Though a few stations in the South expressed reticence about carrying it, fearing that a show headlined by a black woman would be anathema to their audience, the show unpredictably did well in those very states—Alabama, Georgia, and Mississippi. In spite of the show’s abrupt end, it echoed. If people speak of Della! at all these days, it’s because they say Reese paved the way for Oprah Winfrey, who,obviously, achieved popularity on a whole other level than any comparable entertainer before or since.. Winfrey’s show lasted for a quarter century—longer than the talk shows of the black women who came before her, like Reese, Pearl Bailey, and Barbara McNair, whose programs barely lasted a year. Bailey and McNair were actresses and vocalists, primarily known for their work on stage. Their shows—The Pearl Bailey Show and The Barbara McNair Show, respectively—were, like Reese’s, hybrid musical-talk variety shows. Both women are now deceased. At first glance, it may seem that Della!’s utter disappearance is an instance of history failing black women and minimizing their wider cultural contributions. Implicit in the very practice of archival, after all, is the suggestion of whose cultural contributions we value. Whose stories have we chosen to save? Which gatekeeper deemed Reese’s imprint insignificant? “It wouldn’t be likely that the importance of a show, the idea that it was idiosyncratic or groundbreaking, would lead to its preservation,” John Hubbell, a filmmaker and media archivist based in New York, told me over phone this month. Hubbell has been searching for Della! since 2007—he’s been producing a feature documentary of a soul musician whose group guest starred on Della! This led him down a circuitous path wherein he contacted people involved in every level of the show’s production hierarchy. Few of them responded. Those who did admitted they were as befuddled as he was about where the show ended up. Many shows in that period have been lost due to sheer negligence, owed to the prevailing archival and distribution methods of the time. After the advent of the videotape recorder in 1956, shows that were previously broadcast live were now pre-recorded on tape. Eventually, in the sixties, buying new videotapes became obscenely expensive, so studios found it more cost-effective to simply record episodes over existing videotapes. This rendered any trace of the tapes’ original contents obsolete. Indeed, a fate similar to Della’s befell the first 10 years of of Johnny Carson’s Tonight Show, episodes that NBC taped over on videocassette.The last-ditch solution for finding Della!, in Hubbell’s view, would be to adopt a needle-in-a-haystack approach, combing the archives of every station that was once part of the RKO network. Reese is now 85, and she now lives in Inglewood, California, where she founded a Christian New Thought church with her husband, and works as a minister. She’s spent the past few years devoted to her faith, remaining a loyal figurehead of her religious community, and she rarely appears on television; her last screen credit was the Hallmark series Signed, Sealed, Delivered in 2014. She didn’t respond to my requests for comment. For now, barring a concerted effort to unearth these lost episodes, the memory of Reese’s show risks dying along with her. Update, 8/22: An earlier version of this story incorrectly identified Eric Burdon as the guitarist of the Animals; he was the singer. Ages from now, giant snails could be one of the lasting signs of human influence on Earth. Education for women and emerging nationhood, illustrated with care and charm.